The Message Board is Back!! or type “NARO” in the search function in the upper right to find the NARO category. NARO is encouraging all members to join our customized NARO group/category as another way of communicating and sharing information. This broad reach of a large forum provides a more continuous source of information. Joining is free. You can use Gmail, Facebook, Twitter, Yahoo credentials, or just a plain ole email address! NARO has created a custom group/category on the MineralRightsForum.com site that will allow NARO members, and others interested in finding out more about NARO, to exchange information, see announcements of upcoming NARO events, follow legislative developments, and exchange ideas about our mutual interests as mineral and royalty owners. A good place to have a conversation. It is easy to keep up with a specific topic you are interested in. Visit the “Getting Started” page at www.mineralrightsforum.com to see all the ways you can customize your alerts and use the message board. If you are not “tech savvy” you will be pleased to know today’s platforms are much more user friendly than they were previously. You don’t have to have a high level of understanding to work with them, think FaceBook. 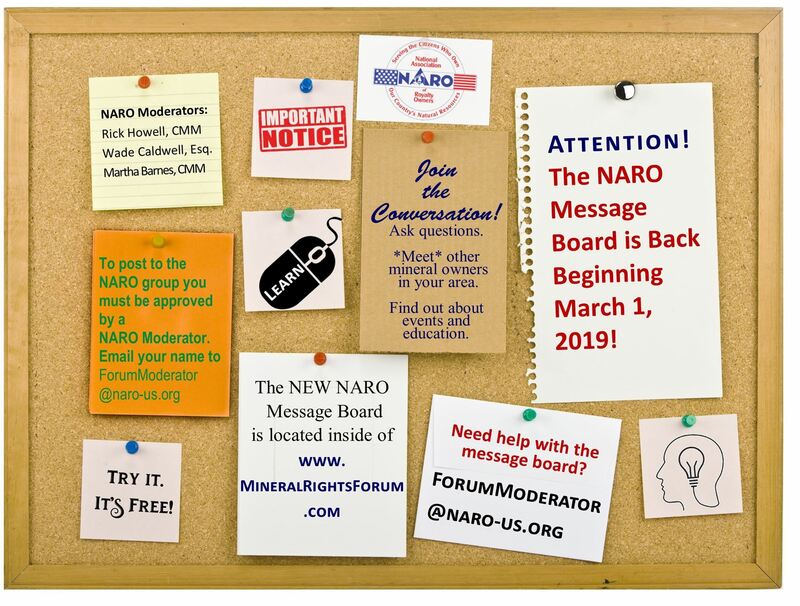 Click here to view/print instructions for joining the NARO Message Board. 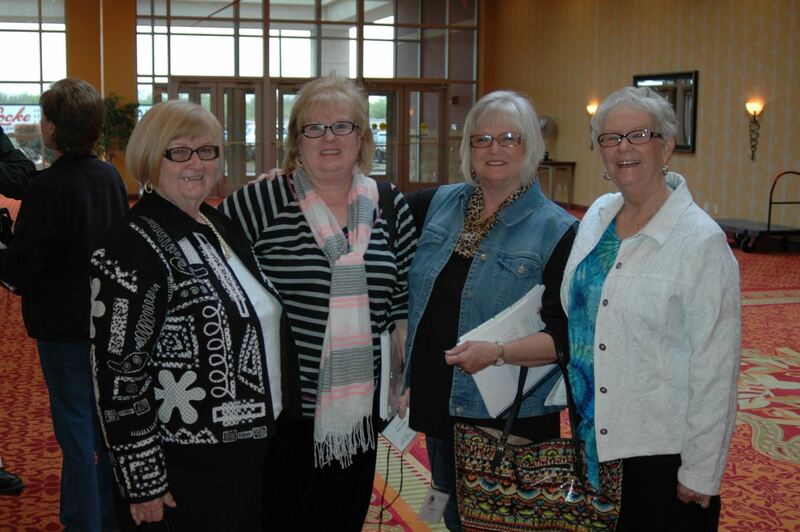 The National Convention is being refreshed! and we think you are going to LOVE it! 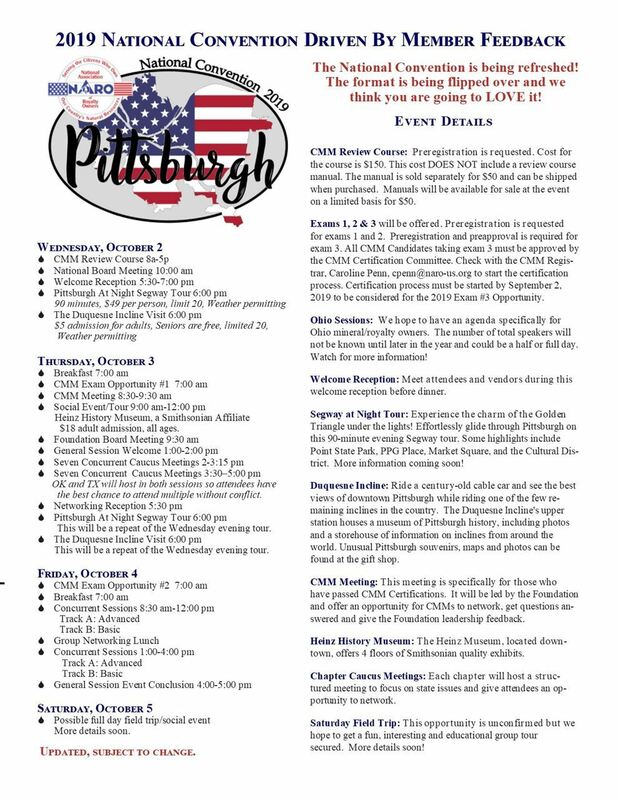 Click the event logo to see a PDF of the tentative agenda. Online registration for CMM Review, Click Here. Online registration for CMM Tests 1 and 2, will open soon. Many thanks to our advertisers and supporters. The National Association of Royalty Owners (NARO) does not explicitly or implicitly endorse third parties in exchange for advertising. Advertising on our website or in our monthly newsletter (ROAR) does not influence editorial content, products, services or NARO member services. NARO is a non-profit organization supported by member dues, donations and supporters. If you are interested in advertising on our website, in our monthly newsletter or at a state convention, please call for information about our rates. Help support our education mission. Contact our National Headquarters today. This income data collection is new for 2019. 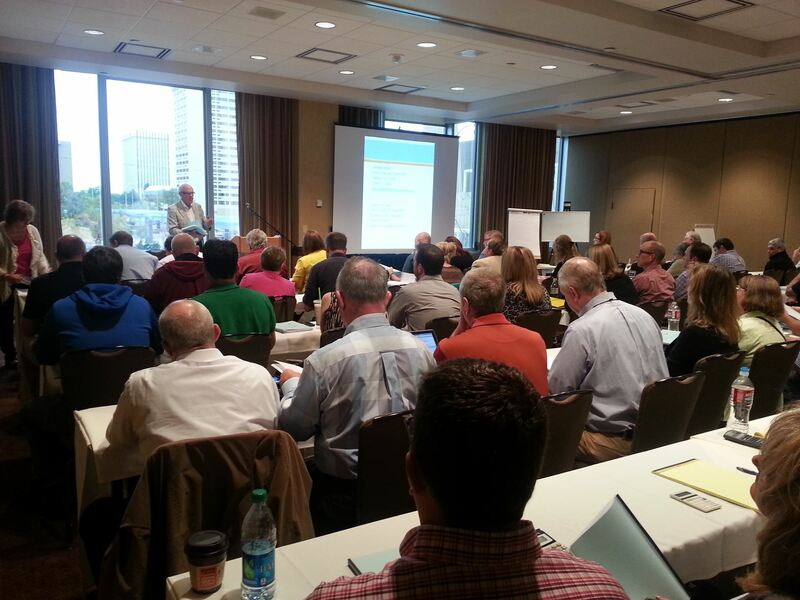 It will help NARO more effectively serve our membership, by understanding our member demographics. Thank you for participating.